Today in Masonic History Anton Joseph "Tony" Cermak passed away in 1933. Anton Joseph "Tony" Cermak was a Austria-Hungary born American politician. Cermak was born on May 9th, 1873 to a mining family in Kladno, Austria-Hungary, now the Czech Republic. At the age of one his family emigrated to the United States settling in Braidwood, Illinois where Cermak lived until he moved to Chicago. Cermak started his political career in his late 20s. He first became precinct captain before being elected in 1902 to the Illinois House of Representatives. In 1909 he became a Chicago city alderman. In 1922 he was elected the president of the Cook County Board of Commissioners. In 1928 he had a failed run for the United States House of Representatives and that same year he became chairman of the Cook County Democratic Party. In 1931, the people of Chicago were ready for a change. They were unhappy with how Prohibition and the corruption associated with it had impacted the city. At the time the incumbent was "Big Bill" Thompson who ran a political machine made up largely of Irish Americans. Cermak saw the growing immigrant population including Czechs, Poles, Ukrainians, Jews, Italians and African Americans as a disenfranchised voting block in the city. Thompson even went after Cermak's background as a an immigrant stating "I won't take a back seat to that Bohunk, Chairmock, Chermack or whatever his name is. Tony, Tony, where's your pushcart at? Can you picture a World's Fair mayor with a name like that?" To which Cermak responded "He doesn't like my name... it's true I didn't come over on the Mayflower, but I came over as soon as I could." Cermak's response resonated with the growing immigrant communities in Chicago at the time. Cermak won the Mayor's office with 58% of the vote. Cermak's election also broke the Republican hold that on the Chicago Mayor's office. Every mayor since Cermak has been a Democrat. Despite his victory, Cermak's time in office was not easy. Cermak had to deal with a major tax revolt by the Association of Real Estate Taxpayers. ARET members, 30,000 of them, refused to pay their taxes which left a massive deficit for the city to deal with. Cermak had to turn to the President-Elect in 1933 for help, Franklin D. Roosevelt. 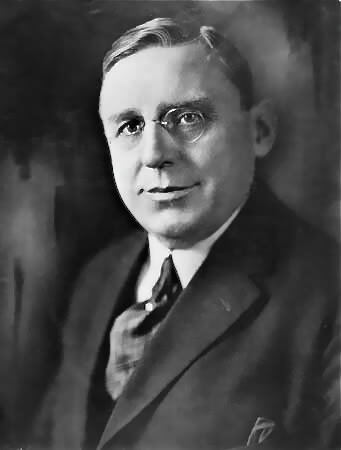 Roosevelt had actually supported Cermak in his bid for mayor in 1931, although Cermak did not return the favor and support Roosevelt's nomination for the Presidency. Because of this, Cermak to mend fences with Roosevelt and went to see him in Miami, Florida on February 15th, 1933. As Cermak began to shake Roosevelt's hand a gunman named Giuseppe Zangara opened fire. A woman standing near Zangara moved his arm as he fired and he hit Cermak as well as four other people. It is widely believed that Zangara was after Roosevelt and Zangara himself when in custody claimed to hate rich people, although did not specifically dislike Roosevelt. After Cermak was shot, it is claimed that he said to Roosevelt "I'm glad it was me instead of you." This is highly questionable though. There are no witnesses to the statement. Other theories have surfaced since the shooting as to Zangara's motives. These theories range from the idea that Roosevelt somehow had something to do with the assassination of Cermak. It was also theorized that Cermak was just as crooked as Thompson and that Cermak was killed because he ordered Frank Nitti, the Enforcer of Chicago, killed. There was also the more plausible theory that Cermak was the actual target, killed by organized crime families in Chicago upset that Cermak was trying to reign in the lawlessness. Regardless of why Zangara shot Cermak, Cermak passed away on March 6th, 1933. After his passing, Cermak's personal physician stated that it was not the assassin's bullet. Instead it was complications from ulcerative colitis that caused Cermak to pass away. At his autopsy it was noted that bullet wound was starting to heal. Cermak was a member of Lawndale Lodge No. 995 in Chicago, Illinois. He was also a member of Columbia Commandery, Knights Templar, Shrine and Grotto.